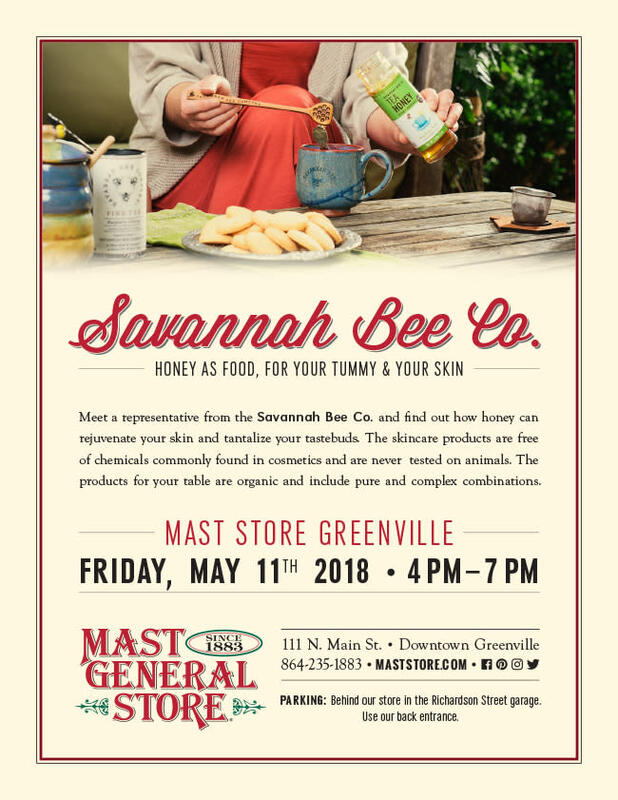 Meet a representative from the Savannah Bee Co. and find out how honey can rejuvenate your skin and tantalize your tastebuds. The skincare products are free of chemicals commonly found in cosmetics and are never tested on animals. The products for your table are organic and include pure and complex combinations.